The Running Helmets is specifically designed for the beginning player, open to boys in Grades K-2 who are new to the game. The Running Helmets meet one day a week for a one-hour practice & skill teaching session. At StickWithUs.org, our primary commitment is teaching the game of lacrosse while providing a great experience and instilling a love for the game. 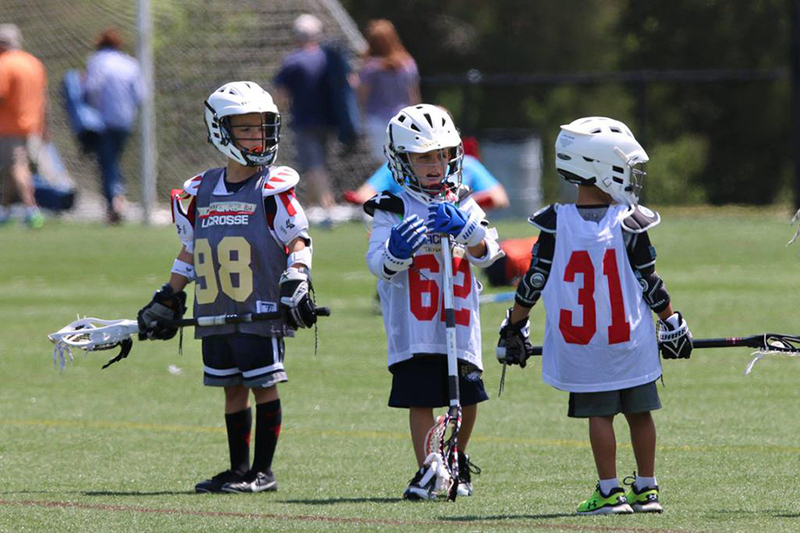 We maintain a positive environment at all times, and our highly qualified instructors help each participant have a great time building friendships, lacrosse skills, and a passion for the game. We have a very strong track record helping youngsters build self-confidence and athletic skills while having a blast in our programs. The Running Helmets is under the direction of Jamie Schmidt (Providence Day School), one of the areas best teachers of young athletes in Charlotte. Coach Schmidt is eager to share his knowledge with the next generation of lacrosse enthusiasts. The Running Helmets offers a balanced, fun-filled experience for those trying to learn the game. "As an elementary school teacher, Coach Schmidt is uniquely qualified to teach children and is clearly one of the best lacrosse instructors of young children in Charlotte" - Coach Desmond - StickWithUs Director. INCLUDES Seven practices, practice/game reversible, program lacrosse shorts, and a program T-shirt. Seven practices, practice/game reversible, program lacrosse shorts, and a program T-shirt. Seven practices, practice/game reversible, program lacrosse shorts, and a program T-shirt. ADDITIONAL INFORMATION Due to the anticipated number of students wishing to participate, registration forms will be accepted on a first come, first serve basis. Please note that schedule and field location subject to change due to availability and final registrations. Also, while we will make every attempt to reschedule practices and games that are canceled due to inclement weather, we can not guarantee that canceled practices or games will be rescheduled.